Word on the street is that Activision plan to release Call of Duty this year in two forms: a brand new game, alongside a remaster of Call of Duty 4: Modern Warfare, the game that kickstarted CoD’s gargantuan rise in popularity. A new image doing the rounds on Reddit suggests that the remaster will include the full campaign and 10 of the original multiplayer maps. 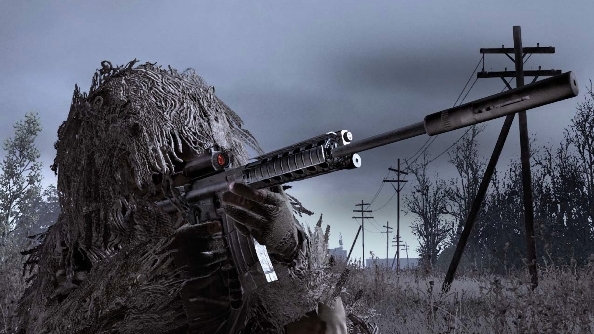 Despite being a favourite for many of us, Call of Duty 4 is not on our best FPS games list. 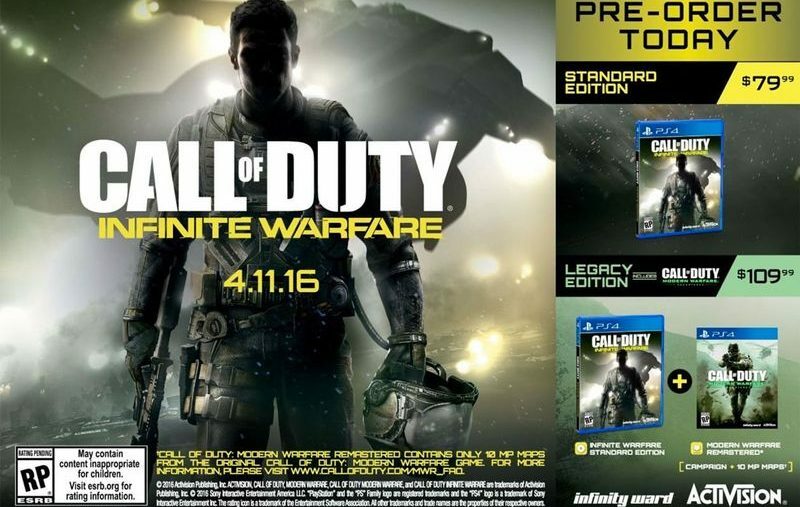 The poster image looks to be for Canadian retailers, and advertises the PS4 version of Call of Duty: Infinite Warfare, which can be purchased solo for $79.99, or bundled with Modern Warfare Remastered for $109.99. The small print explains that the Remaster “contains only 10 MP maps from the original Call of Duty: Modern Warfare game”, and that the campaign will also be present and correct. Right now there’s absolutely no official confirmation from Activision about this, nor the Infinite Warfare game. Since we’re all playing ametuer analysts, here’s my take: a Modern Warfare remaster seems inevitable at some point, perhaps even this year, but something about the wording in this poster makes me think it’s a fake. Saying a game “only” has 10 maps has a negative angle, and the same information can be conveyed in a much more positive phrase. Also the game is referred to as “Call of Duty: Modern Warfare” as opposed to “Call of Duty 4: Modern Warfare”, and as we all know publishers are very persistent when it comes to getting the names of their brands correct. Regardless of if this is a leak, hoax, or something inbetween, it won’t be long now until some kind of official announcement on the next Call of Duty game is made. With E3 just over a month away, Activision will be gearing up for another relentless marketing campaign. Don’t be surprised if Modern Warfare Remastered is part of it. Or do be surprised. It’s up to you.